The day before the Martin Luther King Jr. holiday, Vice President Mike Pence compared President Donald Trump to the civil rights icon in advocating for a border fence agreement to end the government's ongoing partial closure. During a CBS News appearance on "Face the Nation" on Sunday, Pence expressed his support for Trump and found a compromise solution with the Democrats before reflecting on the next day to honor Dr. King. "One of my favorite quotes from Dr. King was:" Now is the time to make the promises of democracy a reality. "Think about how it changed the United States," said the vice president. "It inspired us to change through the legislative process to become a more perfect union. That is exactly what President Trump is asking Congress to do. Come to the table with a spirit of good faith. " 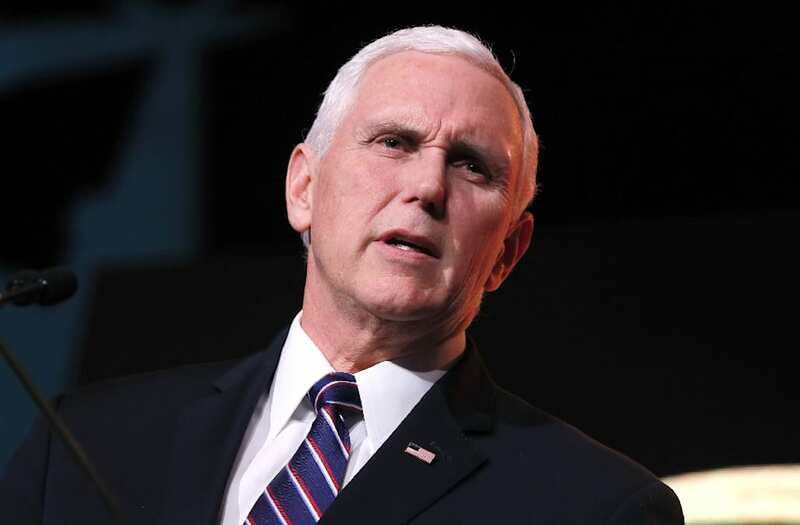 Pence's comments came a day after Trump delivered a public address in which he offered Democrats temporary concessions on certain immigration policies, including the Deferred Action for Childhood Arrivals program in exchange for funding their border wall. of $ 5.7 billion with Mexico. However, House Speaker Nancy Pelosi rejected the offer, calling it "unacceptable," and Trump criticized her in response, saying that "she has behaved so irrationally and has gone so far to the left that now she has officially become a radical democrat. " . " The political struggle is taking place in the midst of the longest government shutdown of all time, which is affecting the pay checks of around 800,000 federal workers. The park ranger explains how he took the viral photo.